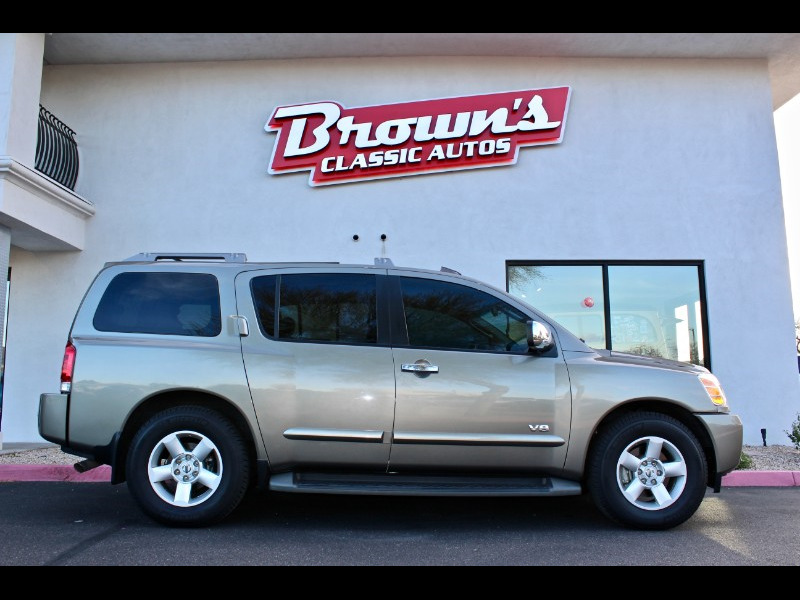 Need a good running family vehicle, look no further the Nissan Armada is the king of the road when it comes to moving families from point A to B. Nissan Armada has the 5.6 Liter V-8 paired with a 5-Speed Automatic Transmission. The Armada has one previous owner and a clean CAR FAX along with a clean well kept interior with mid-row captain seating. The Armada has the exclusive "SE" badge that comes with some upgrades from the base model adding these numerous benefits; Back-up Sensors, Tow Package, Adjustable pedals for driving comfort, luggage racks, and a convenient electric back lift gate. Please do not hesitate to call and set up an appointment to look at your next vehicle.